This conversation on graduation gifts was sponsored by GiftsForYouNow.com. View our disclosure policy here. When it comes to gifts for special occasions, I prefer gifts that are personalized. Personalized gifts offer a special opportunity to let your gift recipient know that you were thinking of them . 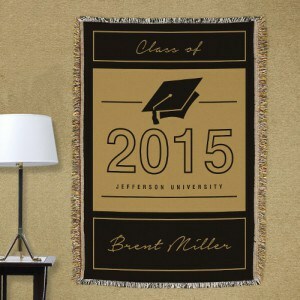 Plus, personalized gifts are typically cherished and held onto for years and years. Long after the occasion, they will still bring back happy memories of the special event. Graduations are no different. Rather than give your child, niece, nephew, godchild, or grandchild a check or a bouquet of flowers, consider giving them something made personalized just for them, and they will cherish it for years to come. 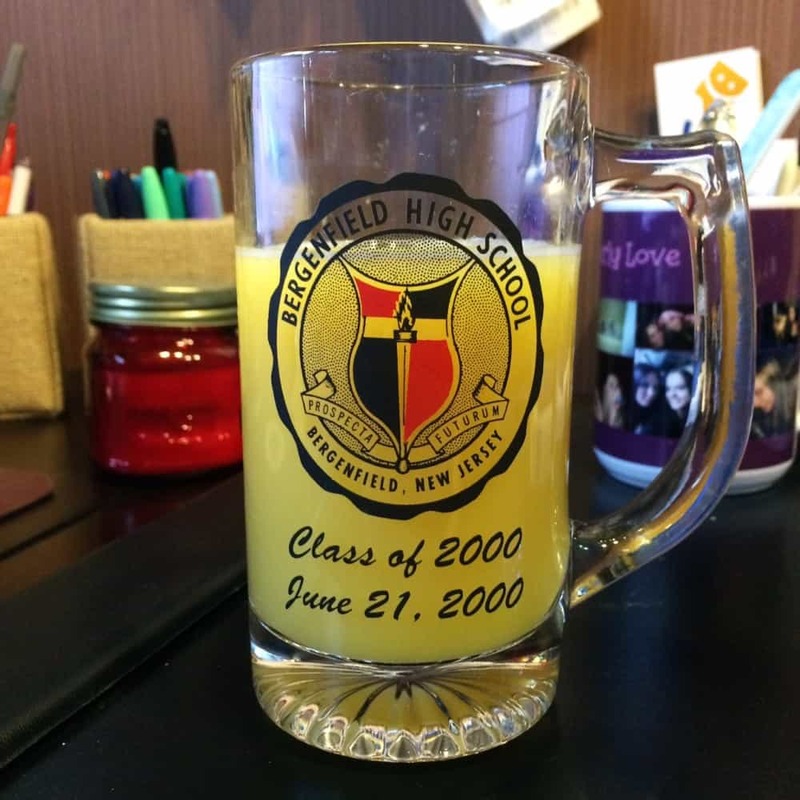 I STILL drink out of my high school's class of 2000 glass mug — I adore that mug! Now, 15 years later, I am graduating again, but this time from graduate school. Guess what I wanted as my graduation gift? Yup, another glass mug! My new 25 ounce glass mug from GiftsForYouNow.com has been personalized with my name, the year, and my school's initials. This mug is huge! My high school mug dwarfs in comparison. The mug is solid, heavy, and made well. I have been drinking out of it every day since it arrived. I am certain that I continue to use my new grad school mug, and my high school mug, for years to come. 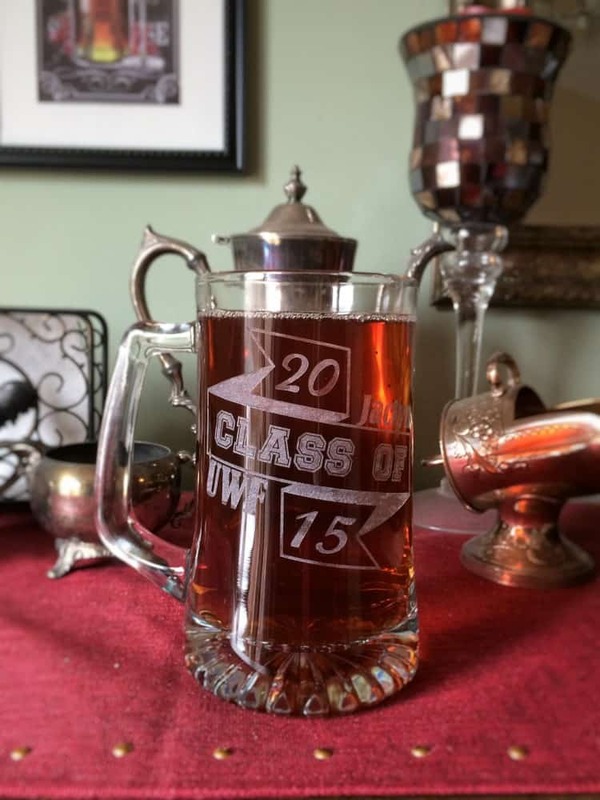 In addition to their personalized glass mugs, GiftsForYouNow.com offers a wide selection of high-quality personalized graduation gifts. From throw blankets to picture frames, GiftsForYouNow.com has someone for everyone. 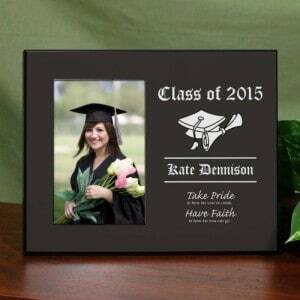 Gifts can be personalized with personal details such as: school colors, school's name, graduation year, and graduate's name. I couldn't be happier with my graduation glass mug, and I would highly recommend GiftsForYouNow.com for all your personalized gift needs. « Top 6 Money Saving Apps – Save on Groceries WITHOUT coupons! I can’t believe graduation is right around the corner! I miss college 🙁 🙁 🙁 LOL!! Those glass mugs are a great idea, and something that people will keep with them forever. I love the picture frame. Our pictures are hidden away in storage.